ReadingHUD is a daily blog that updates with posts featuring the best free ebooks. If you become a member, you'll get a daily email informing you about the limited time offers for free ebooks from the world's most popular ebook platforms. 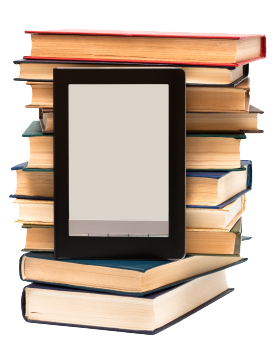 We don't actually sell the ebooks, but we do the job of identifying which free ebook offers are the most noteworthy of the day and then let you know about them, so that you don't have to spend hours sifting through the thousands of books that are available for free each day. We focus on the most popular and best-reviewed books, both from the traditional publishing world and from the burgeoning indie scene. Our commitment to readers is that our offers are always free ebooks and that these offers are for a limited time only. We don't feature permanently free ebooks, nor do we feature books that have less than a 4star average rating across their various platforms. These are all critically acclaimed books that the publishers or the authors are making free temporarily for promotional purposes. We want to help you take advantage of these promotions by giving you the heads up (thus our name, H.U.D.—Heads Up Display)!